As guests at the Bay View Resort on the Boardwalk, you have many options to get out and enjoy the spring weather. If you want to discover new things in Myrtle Beach, we have a great list for you to enjoy. Thunderbird Park in The Market Common. The multi-use complex will be a haven for walkers, cyclists and lovers of the outdoors. As part of the former Myrtle Beach Air Force base redevelopment plan, The Market Common has become a hub of recreational opportunities, including the massive Grand Park Sports & Recreation complex. 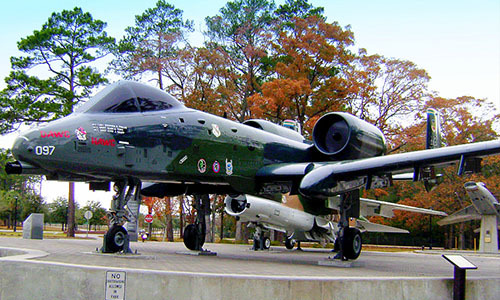 The proposed park, named after the A-10 Thunderbolts that used to call Myrtle Beach Air Force Base home, will feature three miles of biking and hiking trails that connect to the Grand Park pathways. Cyclists look to be the biggest beneficiaries of the new park, which will feature bicycle racks, bike repair and tire changing stations. Cyclists can use the new path to reach the existing trails. Walkers and runners can also get laced up for a longer jog to Grand Park. Thunderbolt Park will offer large public bathrooms, water bottle refilling stations and easy access to the paved trailhead. But Thunderbolt Park is also a great place to enjoy the great outdoors without breaking a sweat. A spacious lawn and an outdoor classroom and reading area provide lots of room to relax in the sun. Bike the Neck Trail: The Waccamaw Neck is one of the most scenic spots on the Grand Strand, and a new 12-mile trails allows bikers and hikers to experience the natural beauty up close and personal. Stretching from Huntington Beach State Park to Murrells Inlet, this pathway parallels Highway 17 but far enough from the road for isolation. The reward for finishing is a spectacular oceanfront view. East Coast Greenway: As part of a larger plan to build a bicycle path that spans the length of the entire East Coast from Maine to Florida, the Grand Strand has done its part by adding several new sections to the project. The Jack O. Walker trailhead runs from Warbird Park in The Market Common, while the Perrin Trail borders Pine Lakes International Golf Club to the Grand Strand YMCA. The Hulk: Nicknamed for the big, green superhero, this big green space offers lots of dirt hiking and biking trails. Formally known as the Horry County Bike and Run Park, The Hulk provides a more rugged experience for mountain bikers and off-road runners. Located under the Robert Grissom Parkway Bridge at the Intracoastal Waterway, The Hulk is the perfect place to get down and dirty. North Myrtle Beach Park & Sports Complex: This massive park features an outdoor amphitheater, dog park and lots of fields for baseball, softball, soccer and more. But there’s also lots of room to roam on two wheels or your own two feet. The park includes three trails that run through diverse terrain, including a loop around the 50-acre lake that serves as the centerpiece of the complex. Savannah’s Playground: Located a short distance away from Thunderbolt Park in The Market Common is this all-inclusive park and playground designed specifically for children with special needs. Featuring safety equipment that allows all kids to experience the thrill of riding a swing set or climbing on the monkey bars, Savannah’s Playground is a popular place for all children to play together. After a fun day out exploring and enjoying the spring, head back to Bay View Resort and rest and relax in your comfortable oceanfront accommodations.